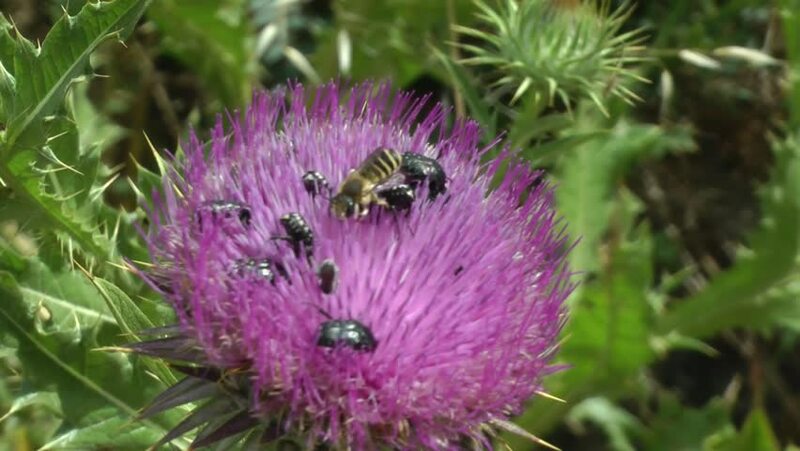 A group of insects on a thistle. 4k00:30Bees collecting pollen and nectar on flowers artichoke. Sunny day, light breeze. 4k00:34Green wish plants bloom and blow in the wind, sprouting from a bed of grass in an otherwise urban wasteland. hd00:15Fresh early morning dew on a Spear Thistle. Invasive to South Africa from Asia, Europe and North Africa.